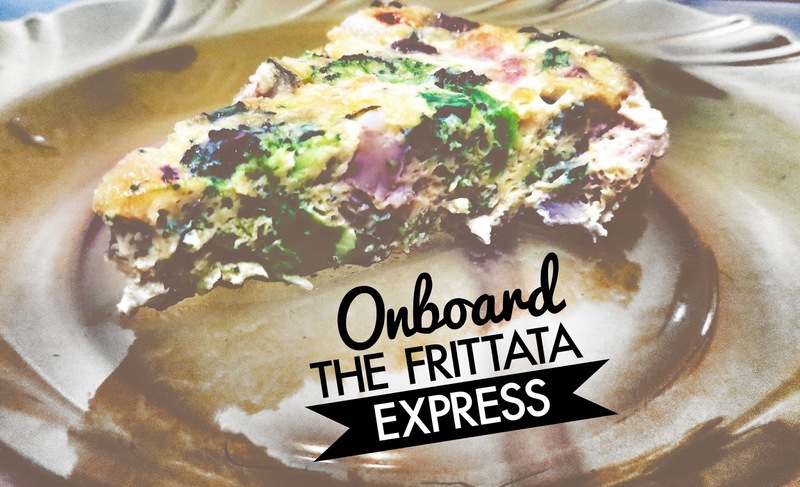 Posted on March 27, 2014 December 2, 2015 by Michelle L.
I am finally onboard the frittata train! 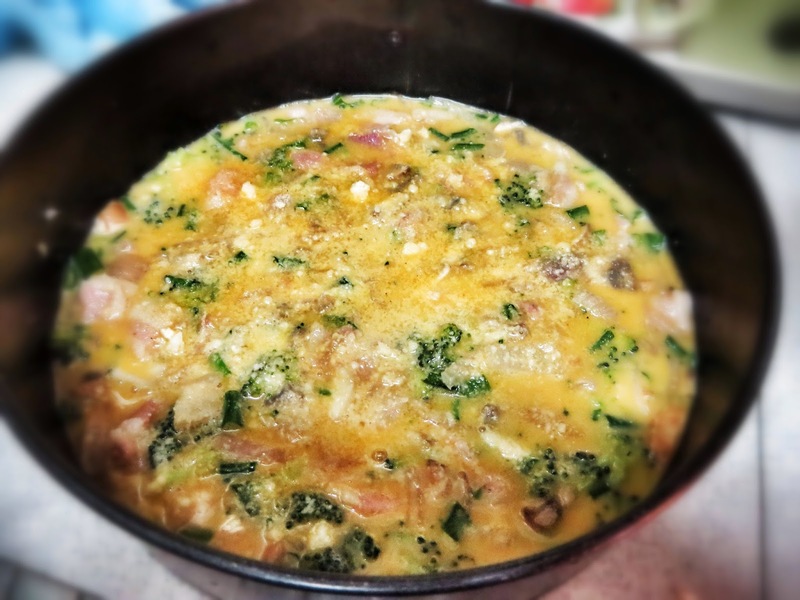 After reading and going through so many frittata recipes on paleo lifestyle blogs, I have decided to hop onboard and try my hand at making one! The best part? It’s so freaking easy to make! Not to mention it is also very filling and keeps well, and can be very healthy depending on what you put in it. *Depending on how big your baking dish is, adjust accordingly. I used 7 eggs for my 9-inch diameter baking dish which is 4-inches deep. 1. 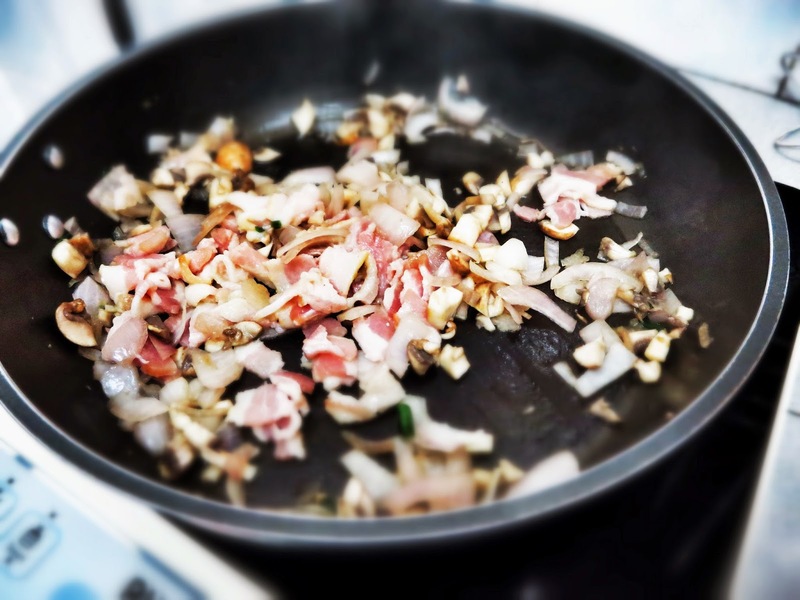 First, sauté the mushrooms, onions and bacon in the pan – for about 5 minutes until fragrant. 2. 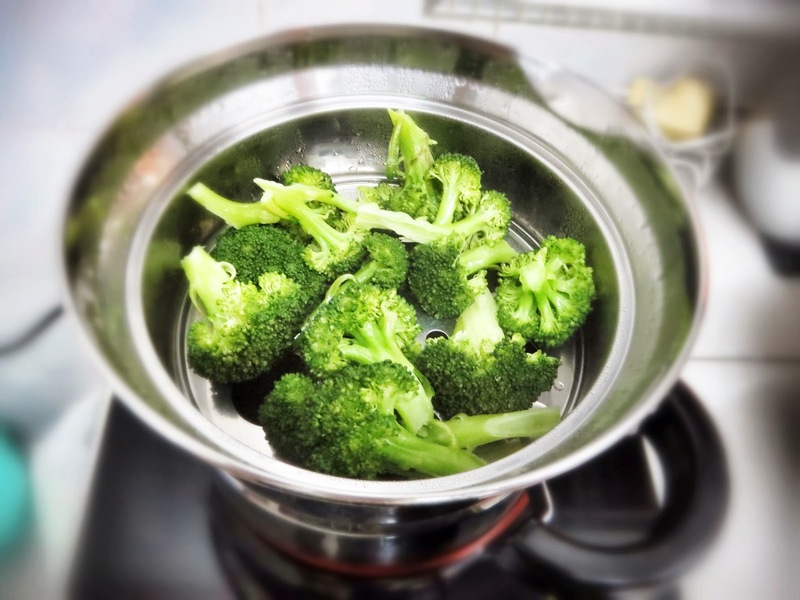 At the same time, steam the broccoli for about 7 minutes. 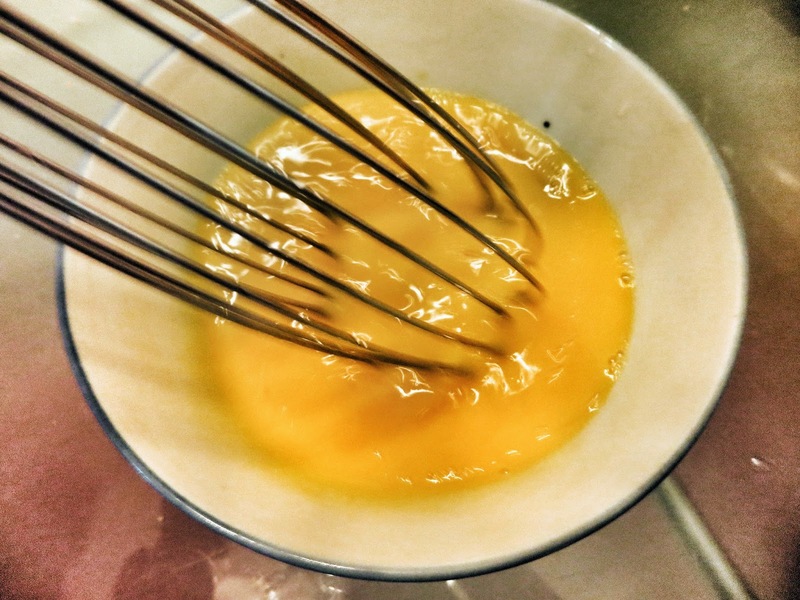 3 Whisk the eggs in a bowl. Incorporate the milk, salt and pepper and whisk again until slightly frothy. 4. Use some butter to coat the bottom and sides of the baking dish so that it doesn’t stick later on. 5. Pour your egg mixture into the pan. Next, add the steamed broccoli by tearing it apart and scattering it around the pan. 6. Then add in the spring onion, mushrooms, onions and bacon. Mix around. 7. 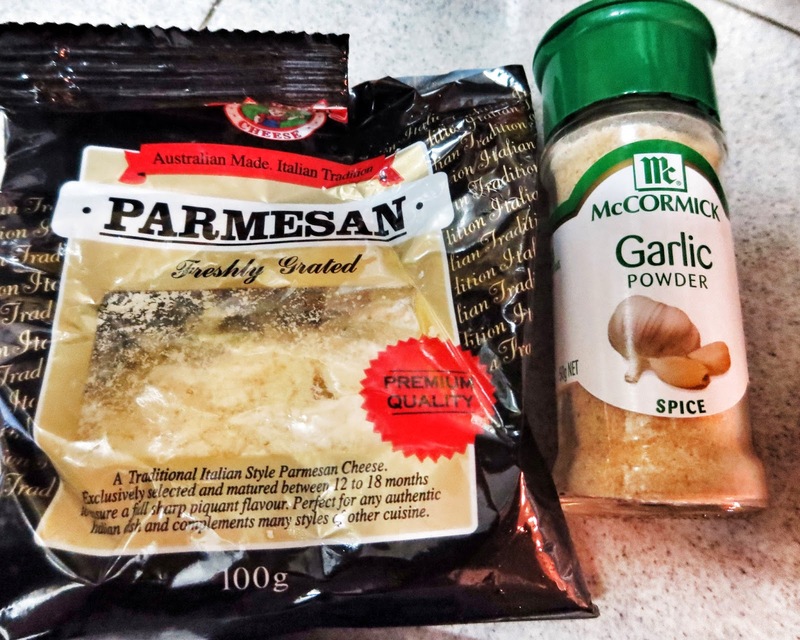 Sprinkle your parmesan cheese and garlic powder over everything. 8. Preheat your oven to 180°C. 9. Put the dish into the oven and bake for 30-40 minutes. 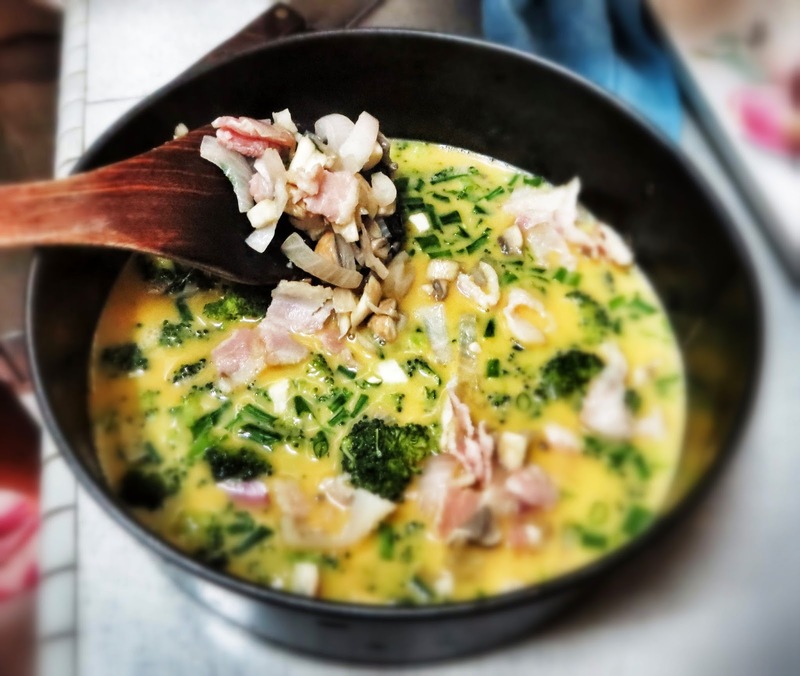 You can check by poking a chopstick into the frittata and when there is no runny eggs, it’s done. 10. Take it out to cool, slice and serve. Best with some Sriracha chilli sauce. 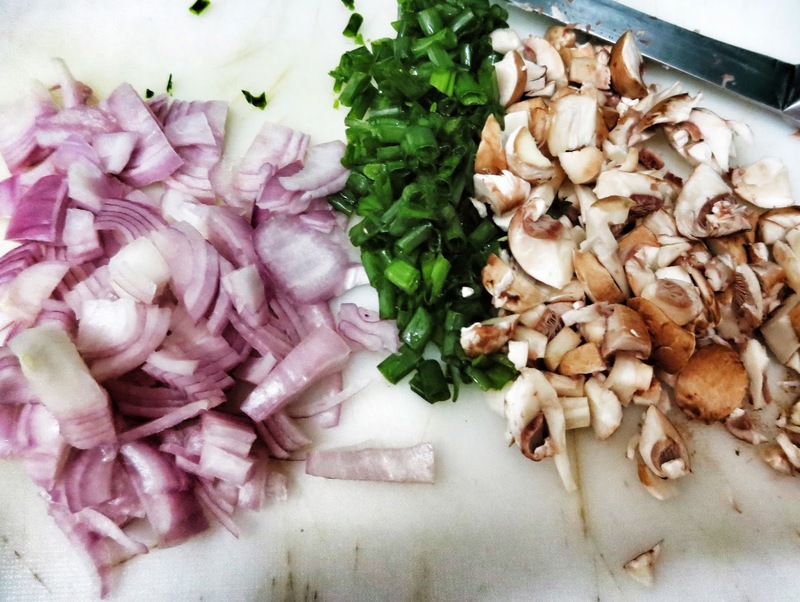 Chop and prepare all your ingredients beforehand. Steam your broccolis so that they are soft and easy to crumble. Sauté everything together, no salt needed, just some canola oil. Whisk your eggs with the milk, salt and pepper. 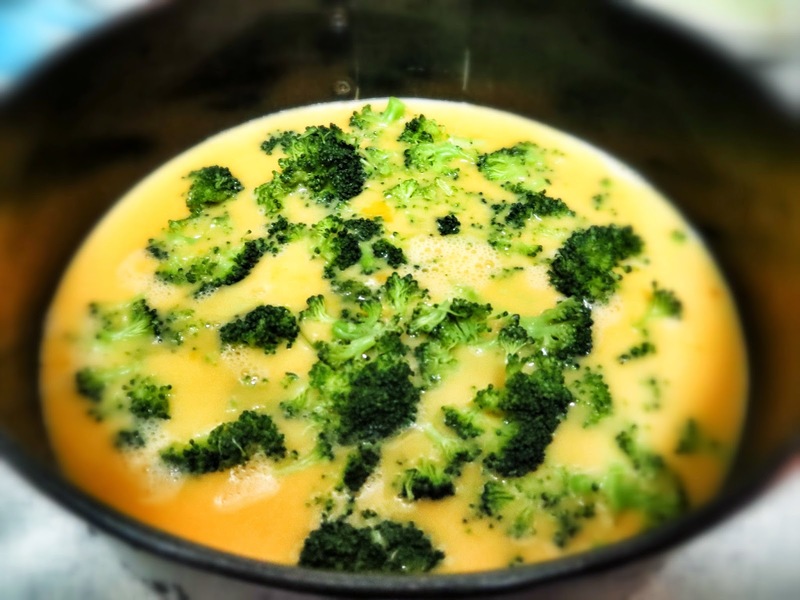 Crumble the pieces of steamed broccoli and scatter it around the pan. Spoon the sautéed meat and veggie into the pan together with the spring onion. These are the seasonings I used to sprinkle for flavor. Preheat your oven and pop this baby in for 30-40 minutes. When all is said and done, voila! 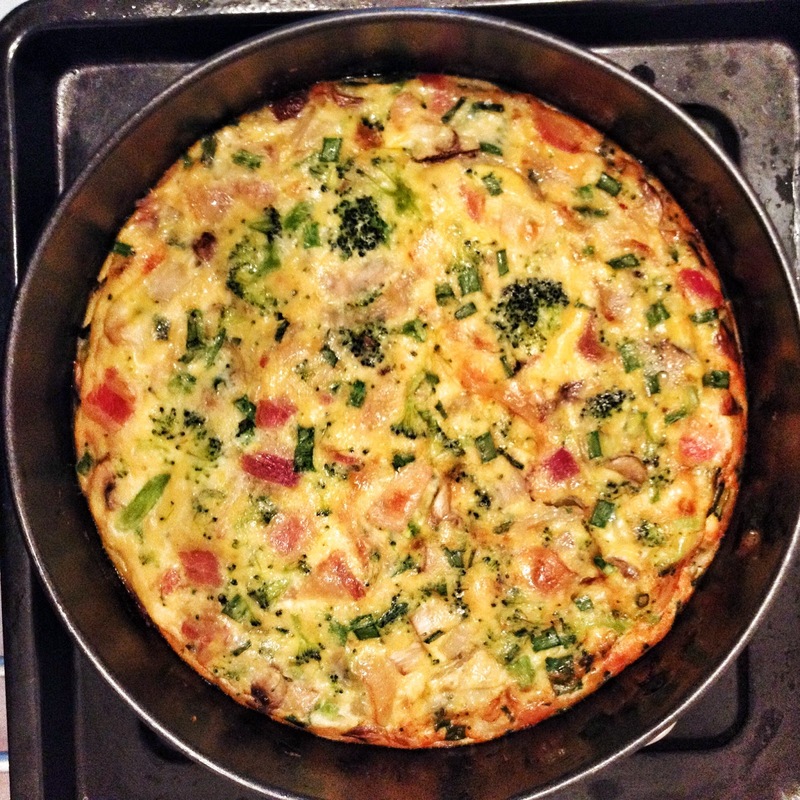 You have your yummy frittata, which looks like a pizza from top view. Cut and serve hot with some Sriracha chill sauce. Enjoy!